There is a lot of hype around search engine optimization, also known as SEO. Is there any truth in all of the hype? How can a business determine if search engine optimization is actually working? SEO is a foundational technique for inbound marketing. The number of persons who use a search engine like Google, Bing or Yahoo is growing exponentially. Whether your business is B2C or B2B there is a good chance the majority of your potential customers are looking for you online before looking anywhere else. By using carefully researched keywords and phrases in your online content you can increase the odds of those potential customers finding you. 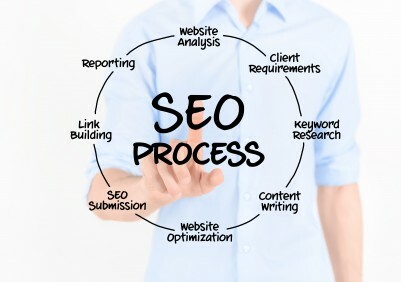 Helping your business to be found by the right persons is the essence of SEO. The number of visitors – track the number of visitors to your web site before and after you implement some SEO techniques. If the right search terms are used you should see an increase in the amount of visitors that will continue to grow as you enhance your SEO usage. Lead generation – the number of leads that you receive after implementing SEO should increase also. The reason for this increase is because more people who are looking for your specific products or services should be able to find you online when searching. Quality of leads – the level of quality of the leads you receive should be much better than generic lists or even trade show events. This increase in quality can be attributed to SEO and how effectively your specific keywords are paired to online searches. Sales conversions – by implementing SEO you should see the number of conversions from visitor or lead to customer increase. SEO will bring you higher quality leads which should convert to loyal customers.